A&D Designer Floors pre-finished products comes in your choice of two different range – Innovative & Premium Range. The difference between both the range lie mainly on the process of how the surface is being treated in different ways. Innovative Range when extruded with embossed surface will express its wood grain and texture and Premium Range uses a special treatment from inner of the material to imbue the wood grain and texture. Innovative Range comes in subsequent finishes – Smooth, Brushed, Embossed and Embedded wood grain finishes option. 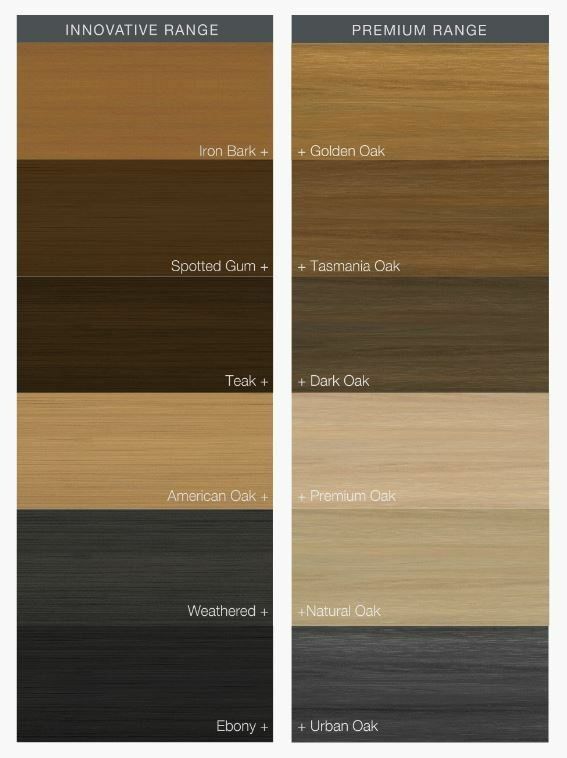 The Innovative Colour Ranges are as follows – Spotted Gum, Teak, Ebony, Weathered Wood, Iron Bark, and American Oak. Premium Range comes in two of the subsequent finishes – Smooth or Brushed finish. The Colour range for Premium products are as follows – Premium Oak, Natural Oak, Tasmania Oak, Dark Oak, Golden Oak, and Urban Oak.